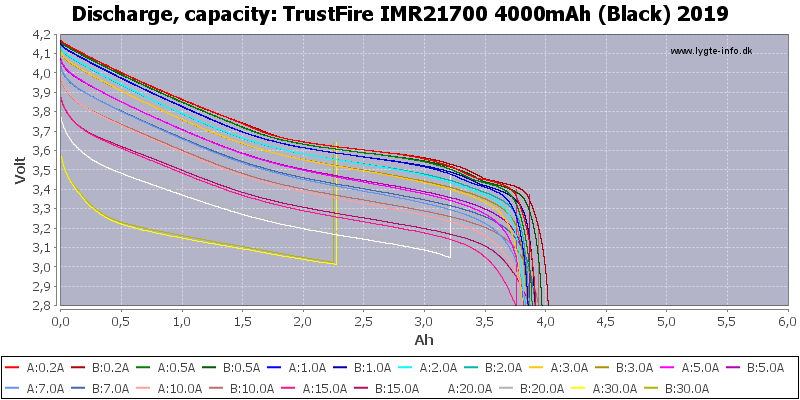 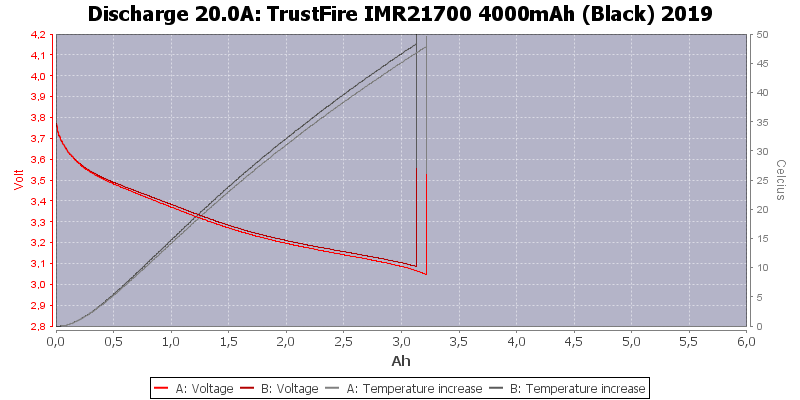 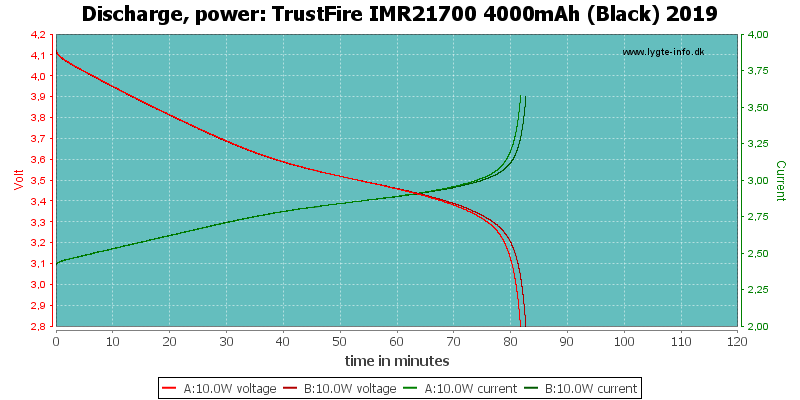 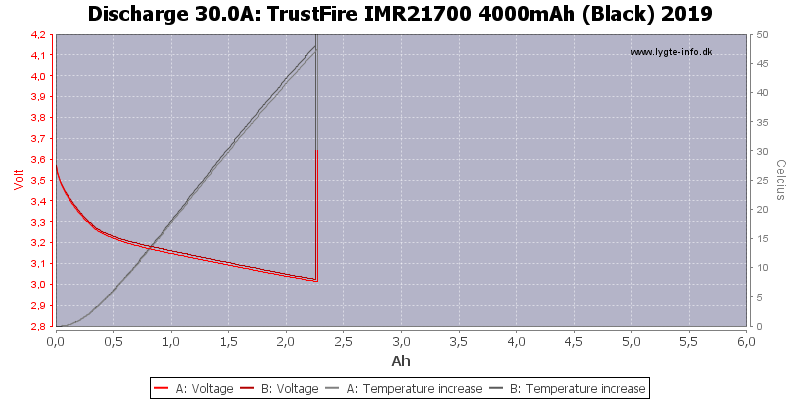 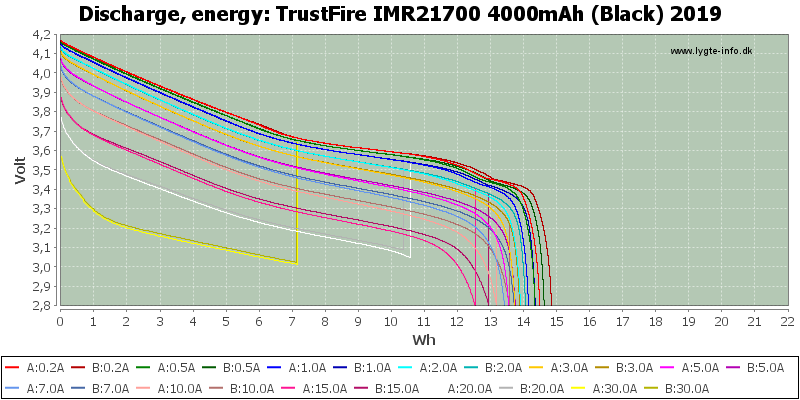 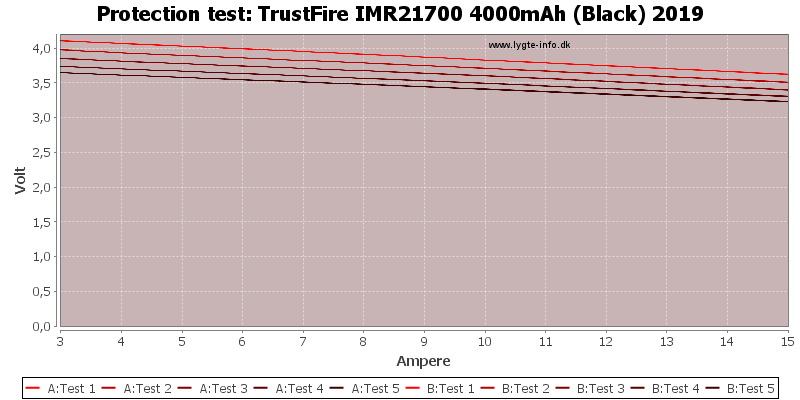 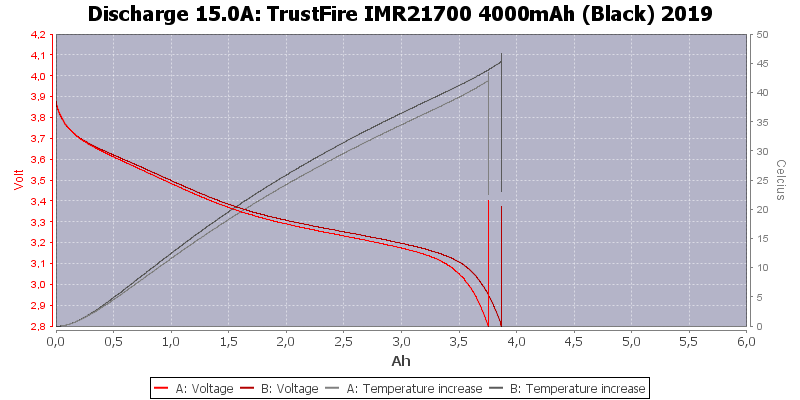 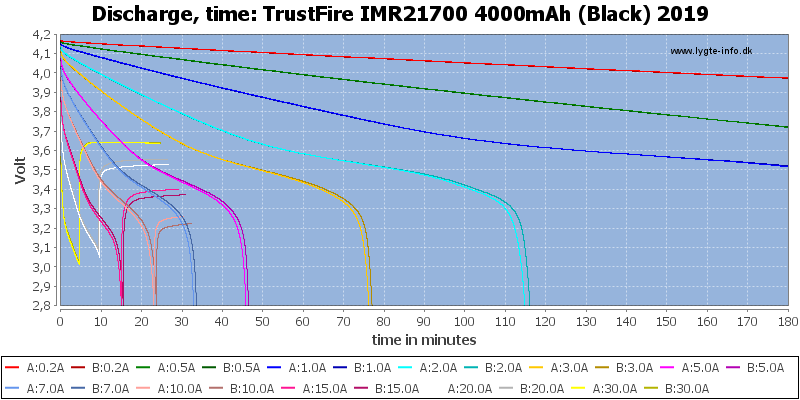 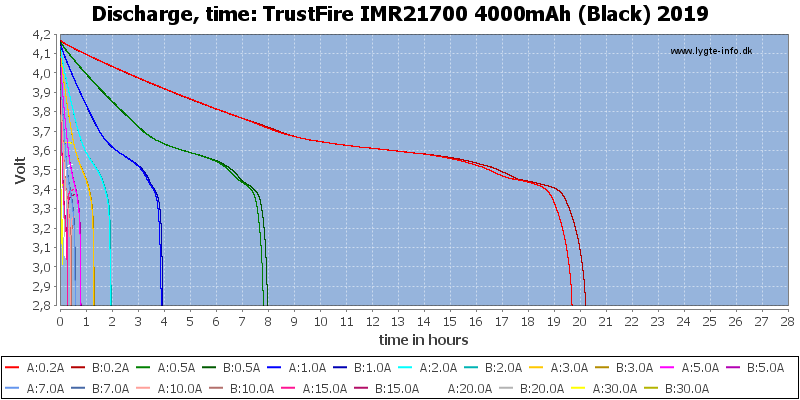 A 21700 high current cell from Trustfire. 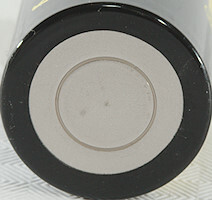 The two cells are not matched very well, but maintain their capacity at just about any load. 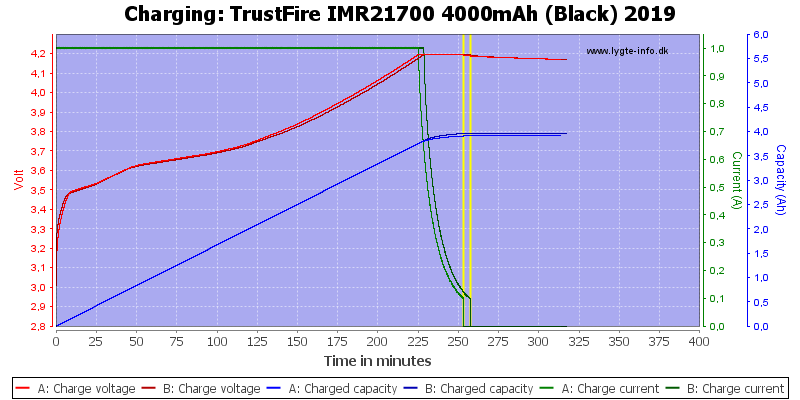 The battery got hot and I stopped the test. 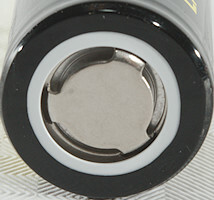 The cells can deliver up to about 15A continuous and has a good amount of capacity. 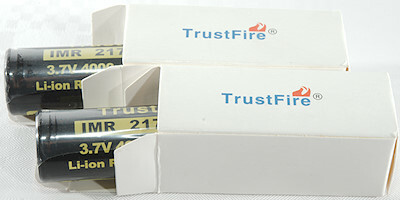 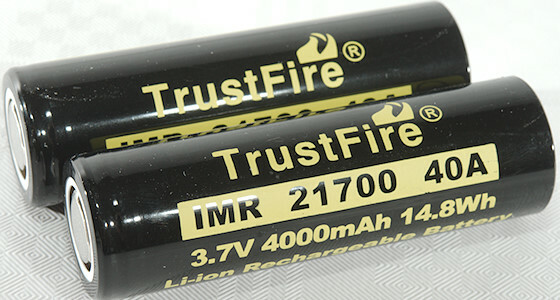 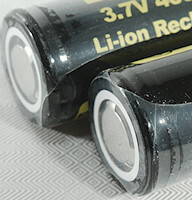 The batteries was supplied by Trustfire for review.